4100-iSIC Communication - NexSens Technology Inc.
NexSens offers four solutions for communicating to 4100-iSIC systems: 4100-base, 4200 radio to phone telemetry, 3200 radio to cellular telemetry and 5200 radio to Ethernet telemetry. 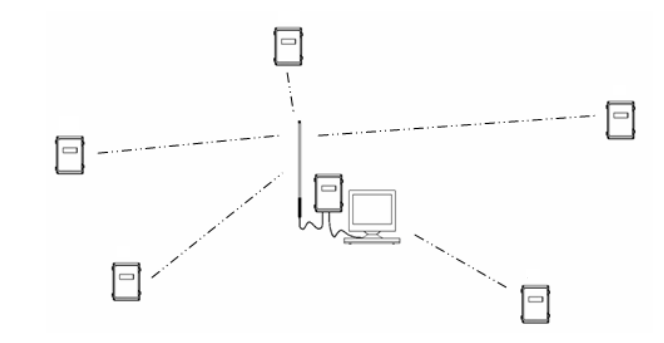 The 4100-base system works like the image below. The 4100-base radio is connected directly to a computer via a RS-232 cable. This radio then communicates to all the 4100-iSIC data loggers in the system. This system is ideal when the base station can be located close to a computer running iChart and AC power. power. Additionally, the 4200 is an iSIC and is capable of logging sensor data. Note: the 4200 will always be set as address 250. 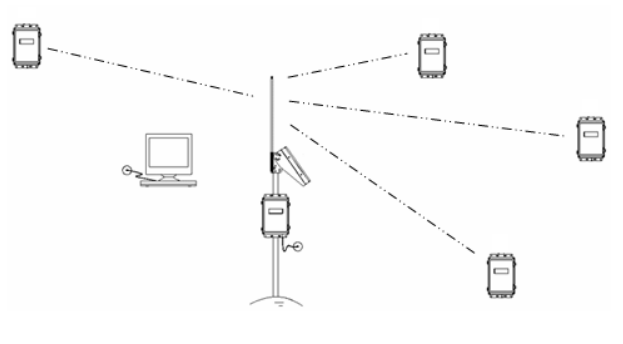 3200-iSIC (Cellular to Radio netwoks) and 5200-iSIC (Ethernet to Radio networks) are also available. A typical system is shown below. 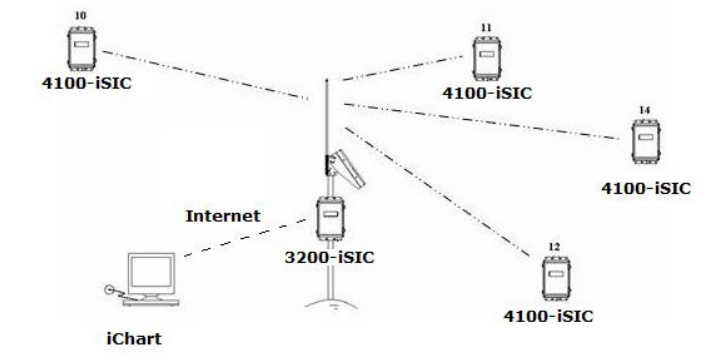 In this case, a single 3200-iSIC (Cellular to radio data logger) communicating to multiple 4100-iSIC (radio data loggers) would allow for a single computer, running iChart software to access each radio site and upload data in real time over an internet connection. Data could then be made available on a website, email, FTP, etc.